This is a word sort for words that have long and short o’s. There are 2 different sorts in this file. The first one is sorting words on “hot” and “cold” o mats. This one has 24 words to sort. 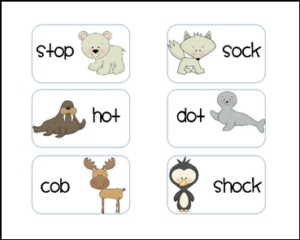 The second is for finding the short o and long o match to get students recognizing the silent e. This one has 18 words to sort. Both have recording sheets and have a winter theme with arctic animals.